Ruth Bader Ginsburg: In Her Own Words (Kobo eBook) | Copperfield’s Books Inc.
As one of only nine women in a class of 500 at Harvard Law School when she enrolled in 1956 and one of only four female Supreme Court justices in the history of the United States, Ruth Bader Ginsburg is frequently viewed as a feminist trailblazer and an icon for civil rights. Ginsburg has always been known as a prolific writer and speaker. Now, Ruth Bader Ginsburg: In Her Own Words offers a unique look into the mind of one of the world’s most influential women by collecting 300 of Ginsburg’s most insightful quotes. 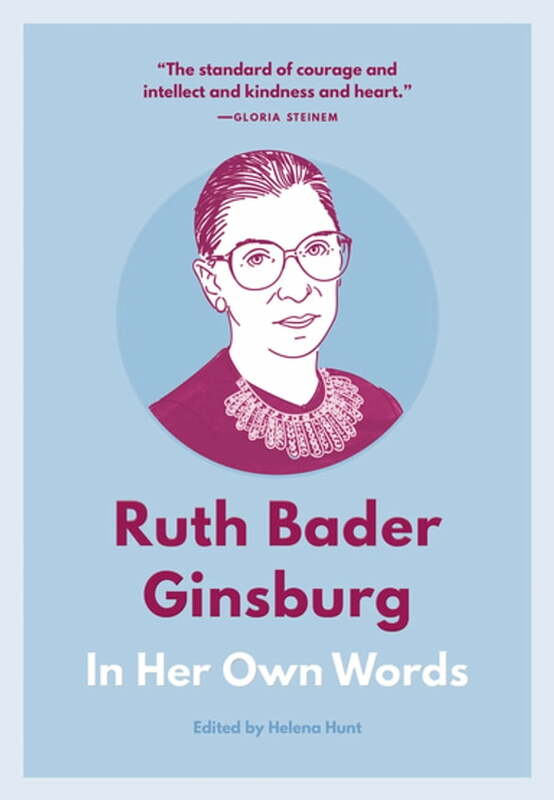 Meticulously curated from interviews, speeches, court opinions, dissents, and other sources, Ruth Bader Ginsburg: In Her Own Words creates a comprehensive picture of Ruth Bader Ginsburg, her wisdom, and her legacy.